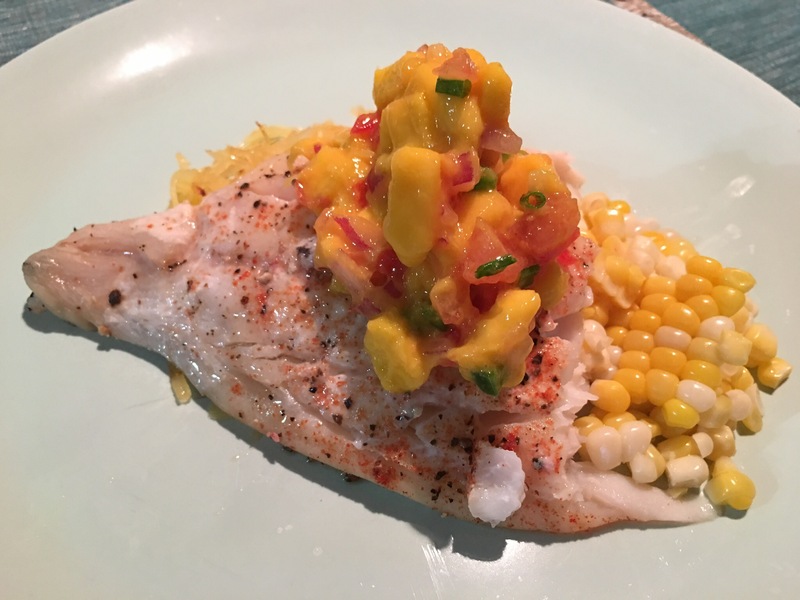 Wild Halibut with spaghetti squash, roasted corn, and mango salsa – Hurried Home Chef! Today I feel like trying a white fish with salsa. I preheat the oven at 400, but the grill or a nice sauté pan would work as well. 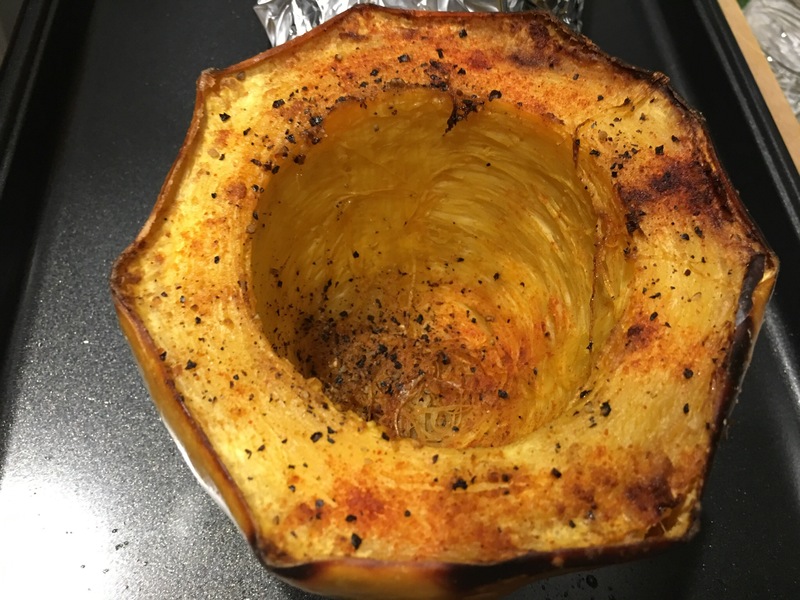 First, season the squash and get it in the oven, I’ll use real time to make it easier for you, so I put it in at 4pm. This is the finished product, forgot to take a beginning pic. I cut it in half and took a little piece off the bottom so it would sit flat. 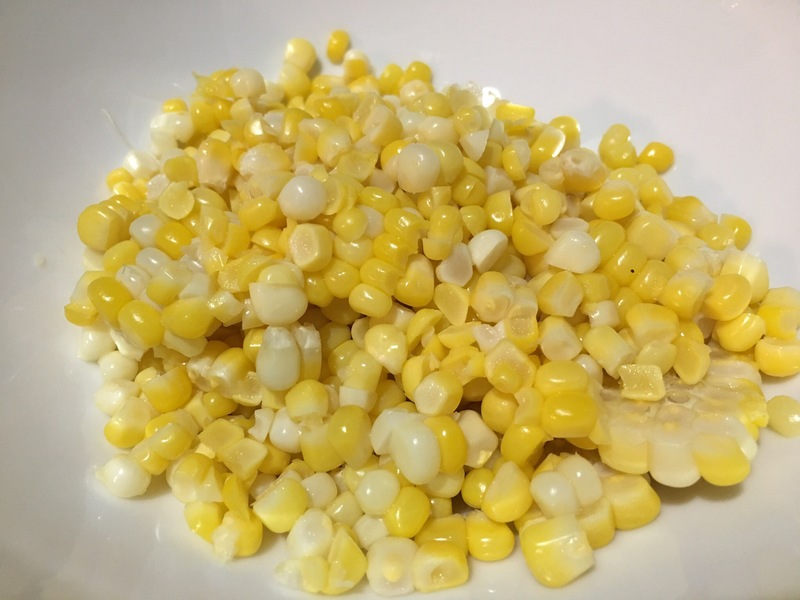 Meanwhile, I prepared some corn and at 430 I added it to the oven. I just washed them and put the entire thing in a pan, put a little water at the bottom. 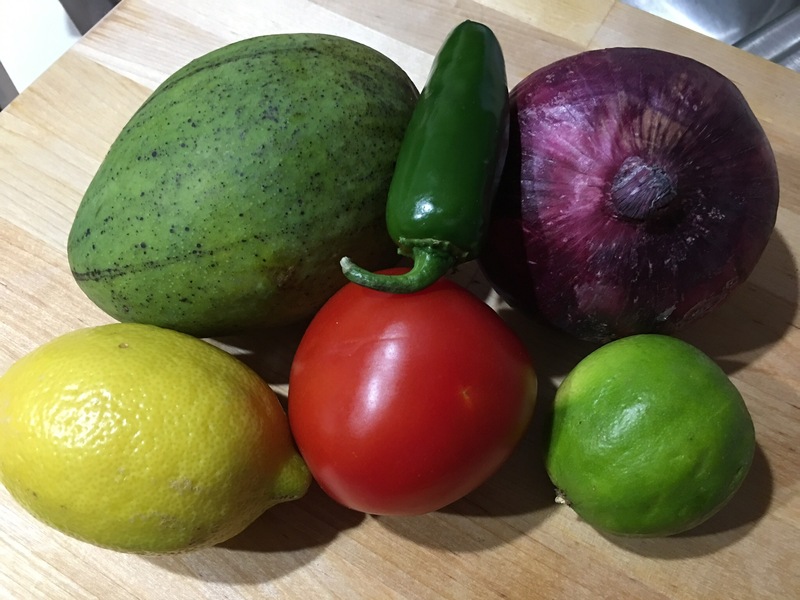 Start with some basic ingredients for a sweet salsa. Here I use a mango, red onion, tomato, jalapeño, lime and you can add cilantro if that’s your thing. 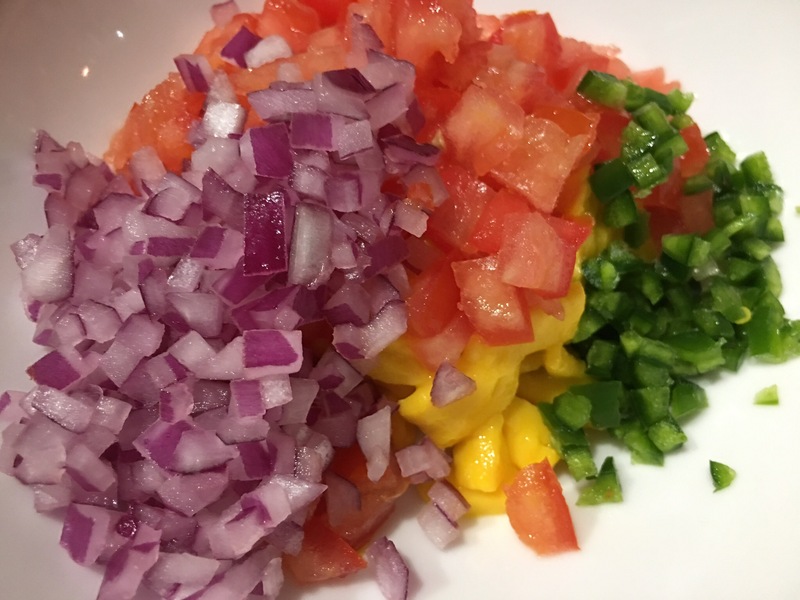 Just start dicing, I like it sweet, so I did about 1 cup mango to 1/2 cup onion, 1/2 cup tomato, and half of the jalapeño without the seeds. Squeeze a little lime juice just before you serve if you want. About 4:50 I put the fish into the oven and removed the corn. 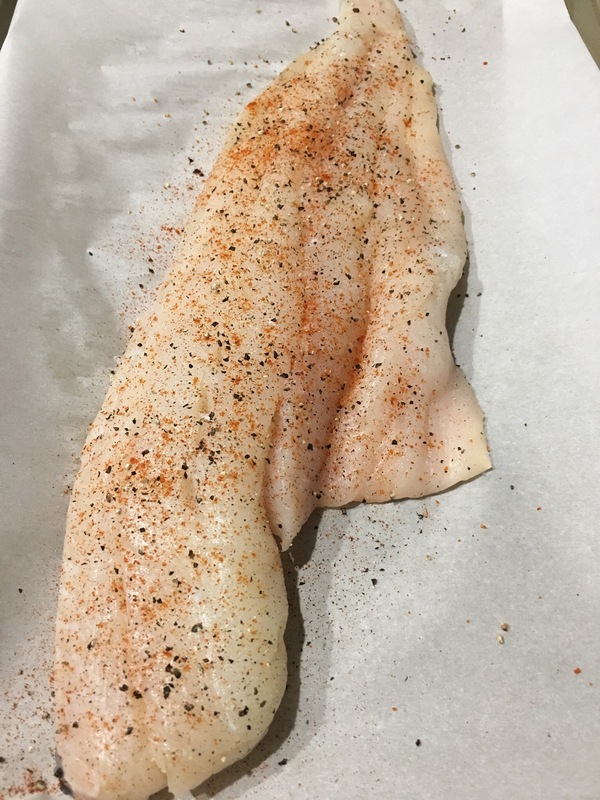 This was a Wild Halibut I found locally, seasoned with Himalayan sea salt, fresh ground black pepper, and some ground hot pepper like cayenne or habanero. 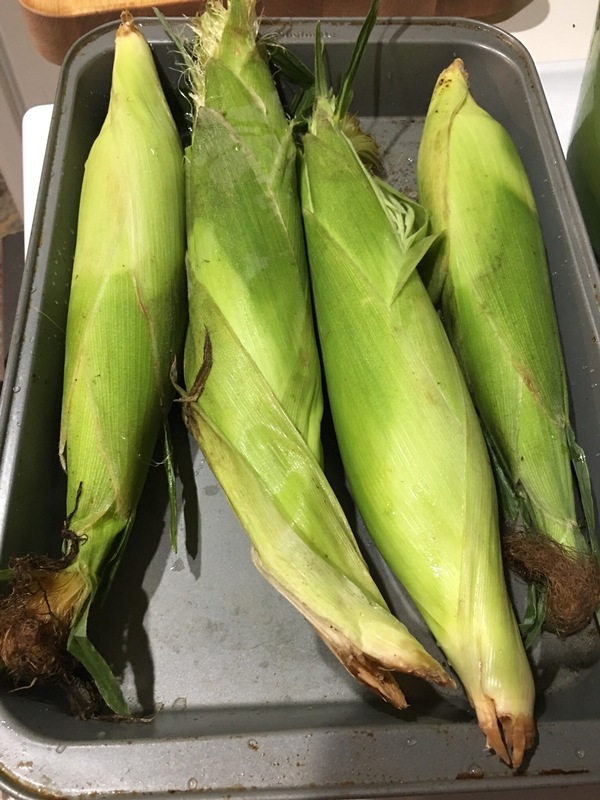 Then take it out the corn and remove the husk, cut off the cob, and either add to the salsa, or have it separately. It is good mixed with some lime juice, queso fresco, and cayenne pepper. 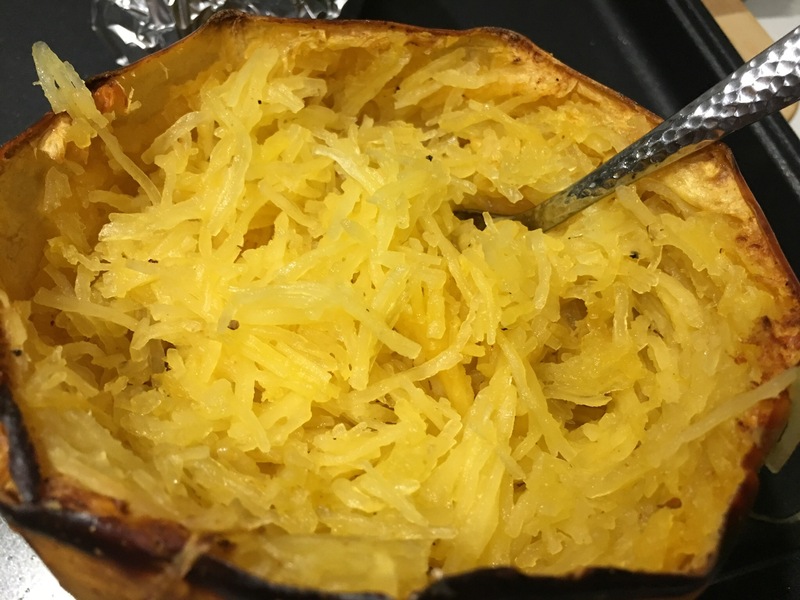 About 5:10, everything is done, and I remove the squash and the fish. Previous Post Ground steak with mushrooms, onions, brussels, and mashed potatoes.